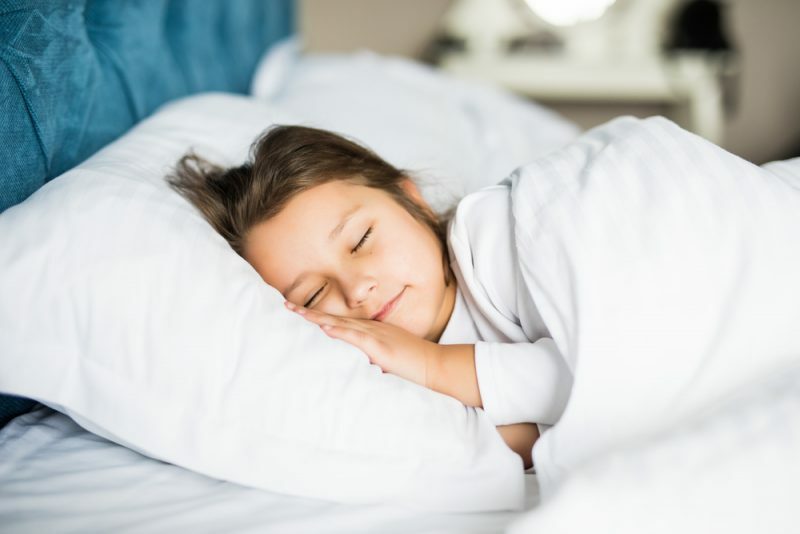 Researchers at the FIU Center for Children and Families are trying to uncover the role that sleep plays in processing emotional experiences, to improve treatments for youth with anxiety. The Emotional Memory Unification (EMU) study, led by FIU psychologist and Associate Professor Dana McMakin, and FIU neuroscientist and Assistant Professor Aaron Mattfeld, is the result of a $3.6 million grant from the National Institute of Mental Health (NIMH), in collaboration with Nicklaus Children’s Hospital. The five-year study, co-led by Department of Psychology Chairman Jeremy Pettit, seeks to recruit 260 children ages 10-13. Participants will be part of the study for two to four weeks and will complete computer tasks and games while in a magnetic resonance imaging (MRI) scanner; wear a wristwatch to monitor their sleep and daily activity; and potentially spend a night at Nicklaus Children’s Hospital’s Sleep Lab. According to the Center for Disease Control and Prevention, approximately 70 percent of U.S. teens aged 12-14 get insufficient sleep, and 90 percent of youth that experience anxiety report that they also have sleep-related problems. Adolescents’ biological sleep patterns— including sleeping and waking—are shifted later, yet many school schedules start early in the morning. The National Sleep Foundation recommends 9-11 hours of sleep for children 6-13 years old and 8-10 hours of sleep for 14-17-year-olds. According to the American Academy of Sleep Medicine, sleeping the recommended number of hours is associated with better attention, learning and memory; better regulation of behaviors and emotion; and higher quality of life, mental and physical health. Stick to a sleep schedule—even on weekends. Practice a relaxing bedtime ritual about 30 minutes before bedtime, such as reading a book or taking a warm shower. Exercise regularly but avoid it within a few hours of bedtime. Make your bedroom comfortable by setting the ideal temperature, sound and light. Avoid bright environments during bedtime, loud sounds that may affect your sleep, or a room that is either too cold or too hot. Avoid electronics and other activities an hour before bed, such as homework, watching TV or playing video games. Focus your bedtime on trying to sleep, not on other activities. Keep naps brief (20-30 minutes) and no later than 4 p.m.